According to a Gilani Research Foundation survey carried out by Gallup & Gilani Pakistan, 2 in 3 Pakistanis (64 percent) claim they are thinking (a lot or somewhat) about the upcoming general election. The country is expected to head to the polls on the 15th of July in a very uncertain political climate. Following a trend that extends to other South Asian countries (Bangladesh, the Maldives), the judicialisation of politics has been one of the defining features of Pakistani political dynamics over the last year. Mr Nawaz Sharif, the former Prime Minister, was disqualified by a Supreme Court ruling in July 2017, a similar fate witnessed by Pakistan’s Foreign Minister Khawaja Muhammad Asif who was also disqualified on 26th April 2018. While the army denied any involvement in the Court rulings, supporters of the former Prime Minister allege that the military is behind the dismissals, in tandem with the judiciary, to weaken the ruling party following its overtures to India. The so called ‘Bajwa Doctrine’ added an additional layer of complexity – named after the Chief of Army Staff General Qamar Javed Bajwa. In a nutshell, while pledging allegiance and support to the progress of democracy in Pakistan, the ‘Bajwa doctrine’ unequivocally reaffirmed that the army is here to stay. 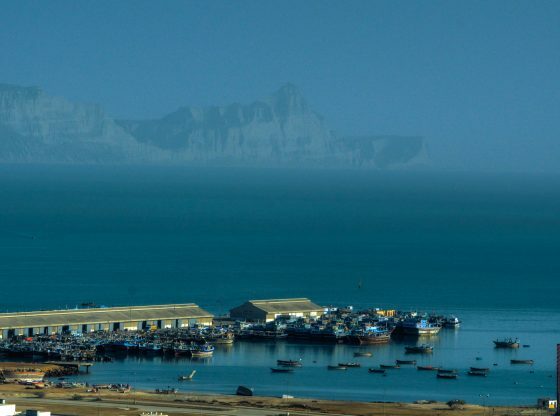 A cursory survey of the stance over CPEC of the major political parties provides evidence for the fact that CPEC will be prioritised even under a different leadership in Islamabad. Against such backdrop of civil-military tensions and with the country preparing to head to the polls, the China-Pakistan Economic Corridor (CPEC) is in full steam, with the early harvest projects either completed or under construction and a total $27billion that are under various phases of implementation. What are the implications of the coming elections for CPEC? To answer this question, one needs to look at how China and the main political parties in Pakistan have navigated the last few years and their statements regarding CPEC. Immediately after the disqualification of Nawaz Sharif in July 2017, China reassuringly stated that that neither the ties between the two countries nor the China-Pakistan Economic Corridor would be affected by the disqualification, also adding that they were ready to cooperate with the new Prime Minister. 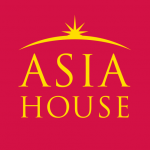 Beyond the headlines, China’s desire to minimise the turbulence caused by the disqualification emerged later with Beijing’s pressure on the new government to reinstate Ahsan Iqbal as the Minister for Planning and Development (after he was moved to the Ministry of Interior following the cabinet reshuffle in the wake of the disqualification). A cursory survey of the stance over CPEC of the major political parties provides evidence for the fact that CPEC will be prioritised even under a different leadership in Islamabad. Pakistan Tehreek-e-Insaf (PTI) has been the fiercest opponent of the PML-N government during the last five years. Following the electoral boom it experienced in the 2013 elections, especially among the young voters, the PTI has relentlessly campaigned on a populist agenda, against what they saw as the corrupt government of Nawaz Sharif. In this context, the PTI called a sit-in on 2 November 2016 to protest what they defined as ‘rampant corruption’. Interestingly, before starting the demonstrations, Mr Khan met with the Chinese envoy in Pakistan in order to clarify that the protest was against the government and that it had nothing to do with CPEC. Earlier this year, Imran Khan reiterated his party’s support for CPEC claiming that CPEC is a project of national importance and that he has absolute belief in it. The Pakistan People’s Party (PPP) has adopted a two-pronged strategy so far: on the one hand, they have been claiming ownership and credit for the development of CPEC on the grounds that it was during the PPP years (2008-2013) that the plans for the corridor were laid out. On the other hand, the PPP has criticised the PML-N government for its handling of CPEC. In January 2018, during a speech in Karachi, Bilawal Bhutto claimed that ‘the Nawaz League tried to make the CPEC a controversial project’ and that the ruling party was trying to ‘usurp’ the project from the PPP by taking ‘false credit’ about its development. More generally, the PPP’s support to CPEC is not in question – also considering that Sindh, the PPP’s historical powerhouse, is the province with the largest share of CPEC projects. The Pakistan Muslim League-Nawaz (PML-N), the current ruling party, has portrayed itself as the party that delivers on development and on the promises made during the 2013 campaign. Their strategy so far has been to play the CPEC/development card on one side and to fight back what former Prime Minister Nawaz Sharif has termed a ‘judicial vendetta’ against him and his party on the other. The strategy seems to be paying off as according to a Gallup Pakistan poll in March 2018 reported in the Wall Street Journal, the PML-N was at around 36 percent, the PTI at 24 percent and the PPP at 17 percent. In addition, 49 percent of the respondents had a favourable view of Nawaz Sharif while 46 percent had a favourable view of Imran Khan. As this brief overview demonstrates, as far as CPEC is concerned we are likely to see continuity rather than change, with emphasis placed on developing the second phase of CPEC, in line with the Long-Term Plan unveiled in December 2017. There is of course much more than simply CPEC at stake in the coming general election. Pakistan’s democratic transition was dealt a significant blow with the Supreme Court’s decision to oust Mr Nawaz Sharif on corruption grounds, in what was seen as a politically motivated ruling allegedly plotted by the Army. Having the third consecutive, democratic elections with the second government being voted out of office over the last ten years would nevertheless represent an important milestone in the country’s democratic history. Filippo Boni is a Teaching Fellow at the Department of Political Science and International Studies, University of Birmingham. Filippo is currently working on his first book on Sino-Pakistani relations since 2001 and he is part of the ‘Observatory on South Asia’ a project sponsored by the French Ministry of Defence in collaboration with the NORIA South Asia Programme. He tweets @FilippoBoni1. Image Credit: CC by umairadeeb/Flickr.